Are you an Ostrich or a Planner? What are you doing to avoid being one of these people? What is the greatest asset you found not to be one of these people? Who or what have you found as a great resource? Is it ever too late to start planning? 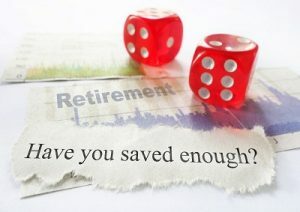 It is said that 48% of Americans haven’t calculated how much money they will need to retire. Do you know how much you need? Do you know what age you want to retire? Are you balanced in your investments? What kind of life style do you want to live in retirement? How much does Social Security play a factor in your plan? Have you created a plan that has your money making money for you or are you relying on someone else to do that for you? What are you doing today to make this happen? While we are not financial advisors, these are areas we like to help clients begin to search out the answers. You can either be an ostrich or a planner. Everything we create in our lives starts with a thought or question. Most time the answers start from what other people have done to be successful. And those who achieve wealth have a responsibility to give back to those just beginning the journey or those who are struggling to find the answers but continue to work towards finding those answers. So we encourage you to ask questions, share your success, and remember never to stop looking and trying to be successful.